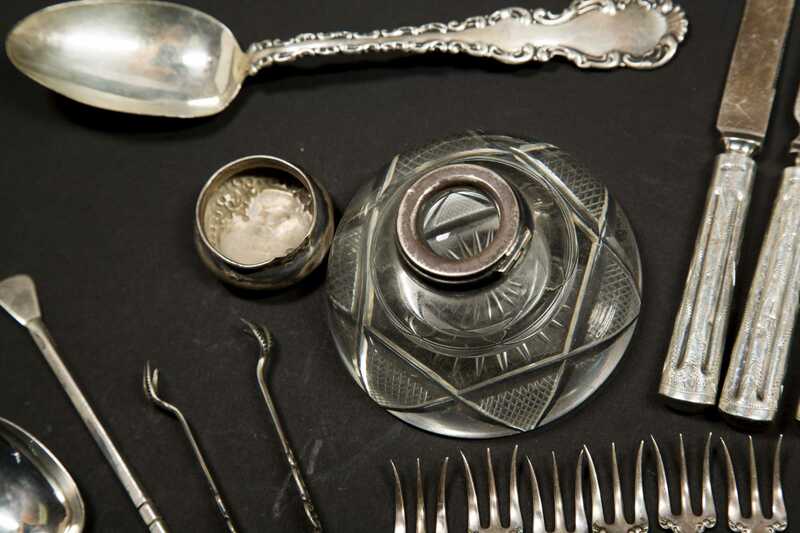 Lot of Miscellaneous Sterling and Coin Silver, A) Cut glass inkwell with sterling lid (detached). 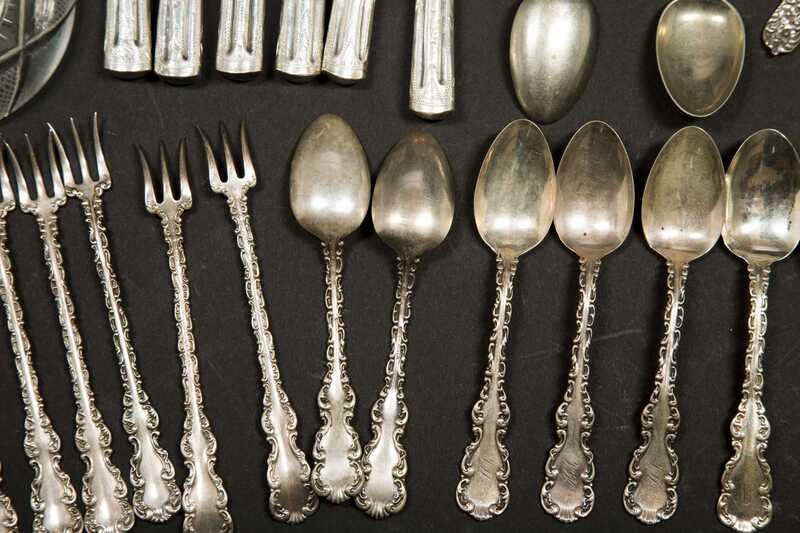 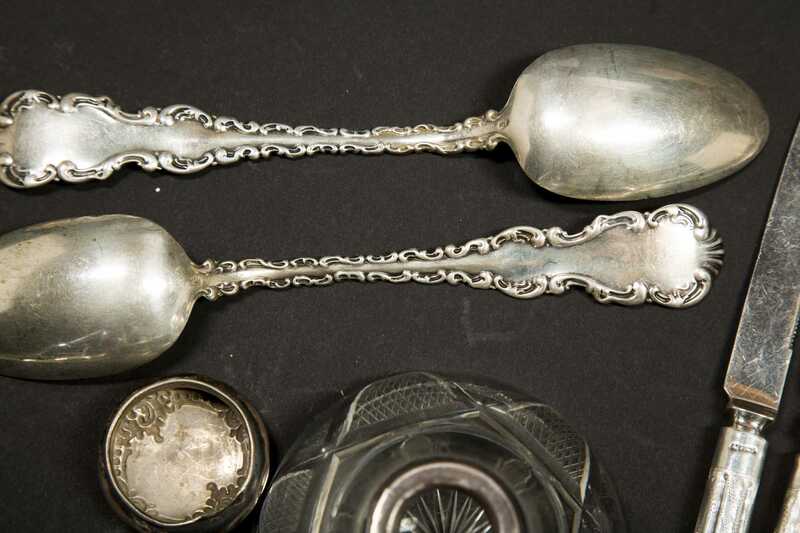 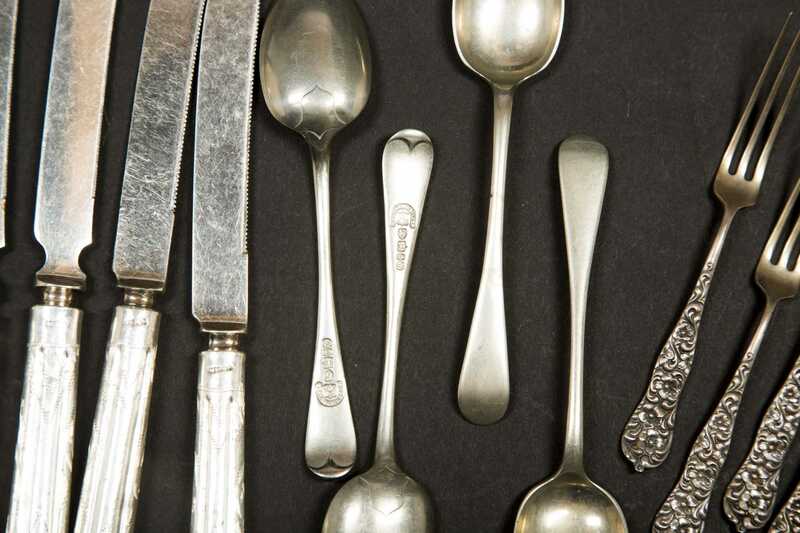 B) Argentina silver, four teaspoons and two larger tea spoons (1892). 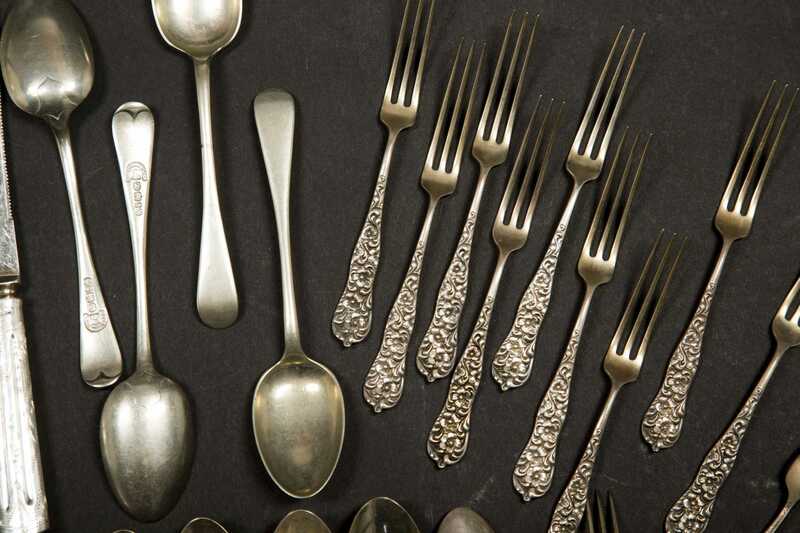 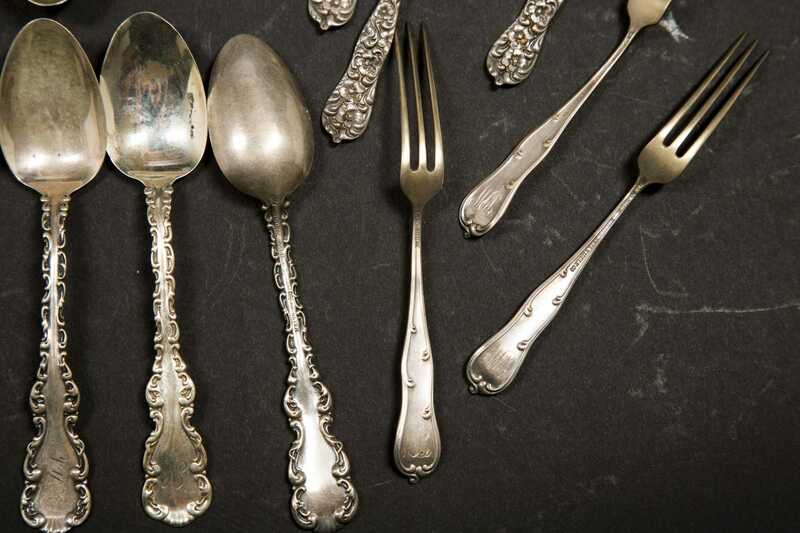 C) Twelve Bailey, Banks and Biddle sterling fruit forks, repousse. 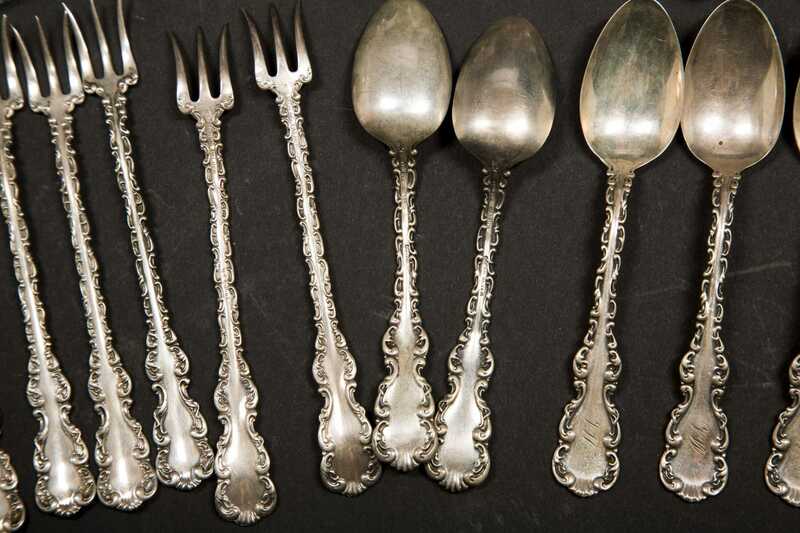 D) Six sterling handled fruit knives. 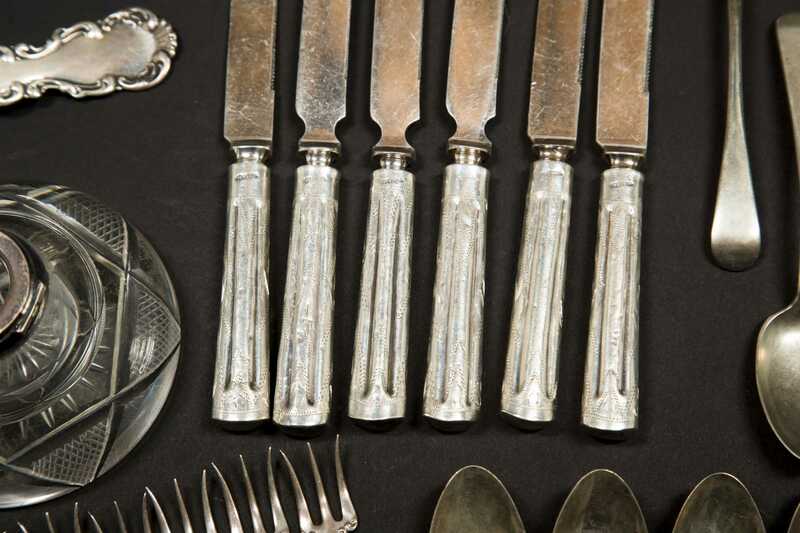 E) Sixteen sterling partial set with fancy handles. 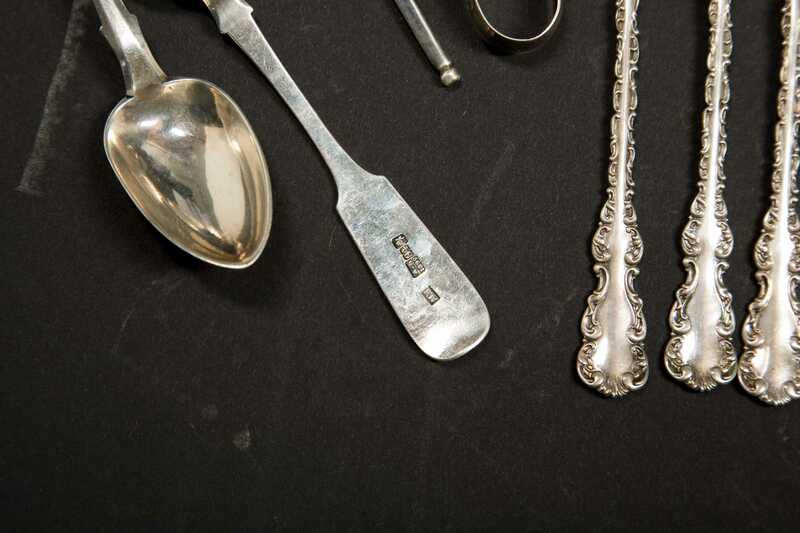 F) Sterling stirring stick. 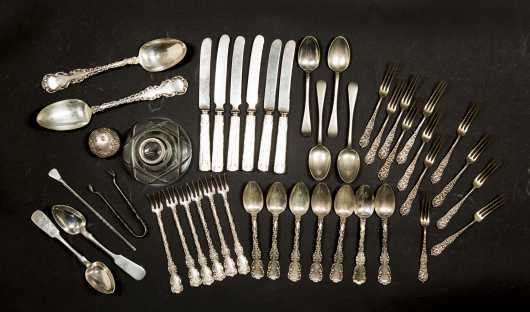 Total weight 21.4 Toz NOT including knives and ink.